Bench Press was featured in the US Pavilion of the 2012 Venice Architectural Biennale. 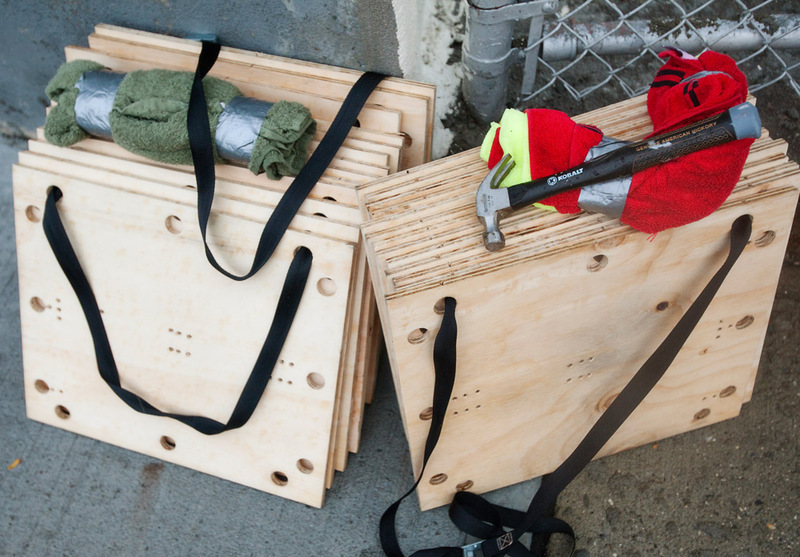 Bench Press took place along the Q39 and B57 MTA bus routes from 4AM to 9PM using Flux Factory in Long Island City (Queens) and Momenta Art in Bushwick (Brooklyn) as anchor points. Between the two lay a vast range of industrial parks and neighborhood enclaves where little to no seating could be found at the local bus stops. BroLab fabricated a series of portable commuter benches that could be broken down into manageable bundles. 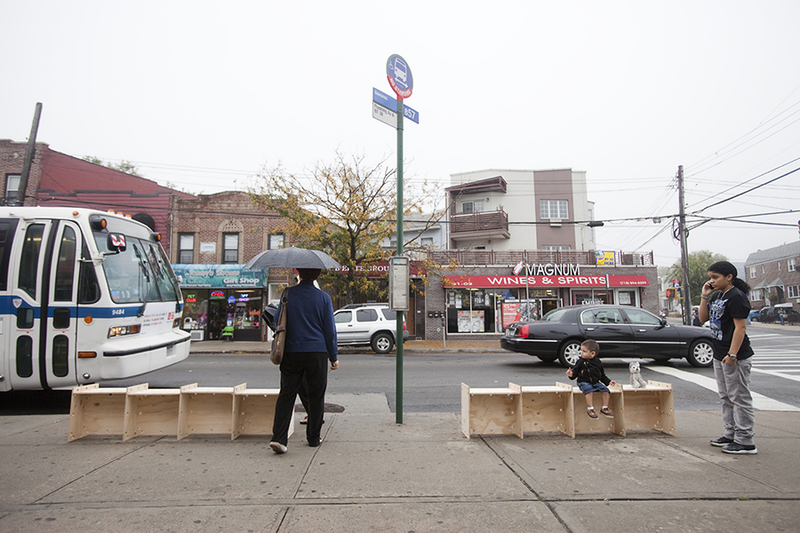 These benches were then assembled and disassembled at bus stops to provide temporary seating for the public. In their second commission through the Department of Transportation’s Urban Art Program, BroLab was invited to participate in NYC Summer Streets 2012. Revisiting aspects of their earlier project, Bench Press, BroLab redesigned the component parts of the plywood benches into a black recycled plastic.